Yuvaan says Sharad’s nickname should be Guru. Suhani objected it and said not to call this name. She opens the bag and reveals a basketball as a gift for him. Suhani calls Sharad and took information from him whether everything is alright at the airport, Sharad agrees for it. Pratima approaches her not to worry a lot about all this. She recalls her moments with Yuvraj where they tried to mimic dialogues, and Suhaani wants everything to be perfect for kids, Yuvraj tells she will be over possessive for her children after the marriage. They argued a lot, where Suhani says in an end that everyone will leave him. Yuvraj shouts on the bank for sending the stupid bank and gives warning that he will cash out all investments from the bank. Soumya comes him screaming; Yuvraj tells Soumya that she must be thinking that everything he is doing is wrong, but what happened to her was total because of Yuvani. Yuvraaj applauds Soumya by saying, Krishna, is her daughter, but she never discriminated between them two. Krishna and Yuvani comes and tells they are going to sleep with their mother today. Both children started their school talks with their mother. In a dream, Suhani recalls her moments with Yuvraj and the bomb blast in the house which had changed everyone’s life. She determines that she will have to forget everything to move forward, whereas he remains he could not forget anything. Dadi comes to Yuvani and Krishna and tells she will fill her form for the competition; Soumya says she likes her mom. Dadi consoles her that she should not take part in the contest as everything good for her mother and sister doesn’t mean to be good for her, she sends her to apply the cream on face. Suhani gives a lecture on housewives clothing and fashion and wins a contract from the dealers. Soumya tells Yuvani is looking great, on this, she reveals that Dadi had given her special cream for this. The family was checking shopping items; Yuvani likes one dress, but Dadi rejected as it was looking cheap. Suhani asks for a ticket from Allahabad from everyone. Her competitor Akriti was also leaving the Allahabad; Suhaani asks to give her the ticket. Previous articleTashan-e-Ishq 13th April 2016 Wednesday Episode: Devika Khanna insults Yuvraj again and again ! Next articleTwitter Down Worldwide: Is “Lizard Squad” the Reason? 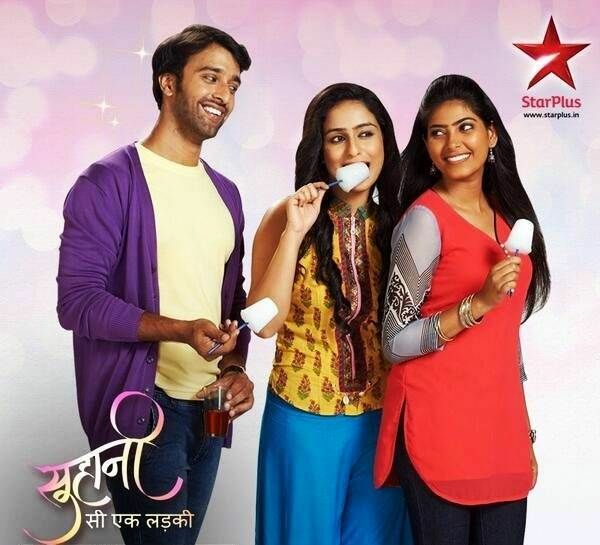 All along Suhani was shown as a simple girl who always tries to help others and unite the family. We really admired her. But her new role as a business woman where she shows anger on her peers working with her is not good. I know she has her own past problems but its wrong that she spills it out on her peers. Her anger should not be mixed with the company, that’s her personal life. If possible please change her role.